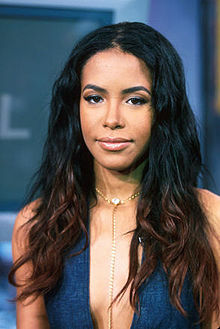 Aaliyah lived up to her parents' expectations as well as her name and at 22, she had a successful recording career while also having established herself in motion pictures and as a business woman. Aaliyah found her soul in music at an early age and by 11, she was performing at a five-night stint performance with Gladys Knight in Las Vegas. Aaliyah was born on 16 January 1979 in Brooklyn, New York but raised in Detroit. At the age of 14 in 1994, she released her first album Age Ain't Nothing But A Number and it was a success. The first single from the album Back And Forth reigned supreme in the Top 5 hits on the Billboard Hot 100 and also became the No.1 R&B song. She followed it up with a remake of the Isley Brother's At Your Best (You Are Love), which reached the Top 10 on the Billboard Hot 100. She was fast becoming a teen idol and her trademark baggy pants with oversized shirts became a sensation. 1996 saw her second record, which was One In A Million and the first single If Your Girl Only Knew went double platinum. The album had syncopated beats by Timbaland and Missy "Misdemeanor" Elliot's lyrics. The other people involved in making this album included Jermaine Dupri, J. Dibbs, Rodney Jerkins, Daryl Simmons, Vincent "V.H." Herbert, Craig King, and Kay-Gee. Aaliyah took the album live to Europe, Japan, and South Africa through her tours. 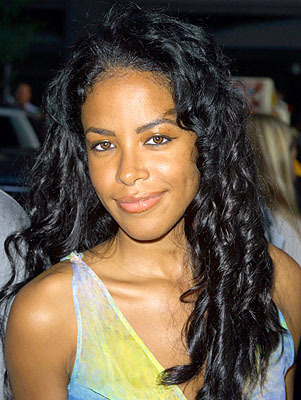 In 1998, Aaliyah produced another super hit with Are You That Somebody from Dr. Doolittle soundtrack. It was produced by Timbaland, and was extremely infectious especially because of the sound of a crying baby. The same year Aaliyah performed "Journey To The Past" for the motion picture Anastasia and it was nominated for an Academy Award for Best Song. 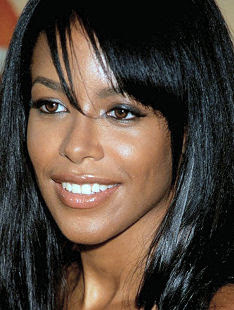 Aaliyah also performed the song on stage in the Academy Awards Show that year. Deviating from music, she stepped into the world of motion pictures with Romeo Must Die with Jet Li as her main co-star. The movie's soundtrack was a huge hit and went on to sell millions of copies. The next film on the line was the Queen of the Damned opposite Stuart Townsend, Vincent Perez, and Lena Olin and directed by Michael Rymer. She played the title role of Akasha, based on Anne Rice's Vampire Chronicles. Aaliyah released a self-titled studio album in July 2001, which reflected her true potential and marked her growth as an entertained and as an individual. It debuted at number 2 on the US charts and sold over 2.4 million albums worldwide. Some of the smash singles include We Need a Resolution, More Than A Woman and Rock The Boat. At the same time, she performed in movies like Matrix Reloaded and Revolutions, Honey, and Sparkle, which is a true story based on interracial love. But on 25 August 2001, her sparkling career came to an end with a plane crash at Marsh Harbor, Abaco Island in the Bahamas and the music industry lost an exceptionally talented, and successful singer.